Your smile is probably one of, if not the first thing people notice about you. 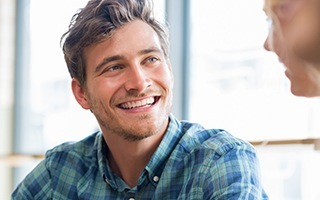 With the right smile, a good first impression is all but inevitable, but if you’re less than confident about how it looks, it can really drag you down in a multitude of ways. Fortunately, you can get cosmetic dentistry services right in your area at Harbor East Dental, so you decide it’s time to give your smile a little boost so you can feel great about it again. However, doing anything that can change the appearance of your smile is a big deal, so how can you be sure you’re getting the right kind of treatment? While most offices would just tell you what to expect from a cosmetic procedure, at Harbor East Dental, we can show you. Using our Virtual Smile Design iTero system, we can show you what your final results will look like before you undergo any treatment. How Does Virtual Smile Design Work? Fortunately, the process is quite straightforward and simple. You’ll come to our office, and we’ll take a digital scan of your mouth using the iTero scanner. Within minutes, you will see a digital creation of what your smile will look like after Invisalign treatment. For more extensive work, we will have our world-class lab technician create a mock up of your smile in wax. We will then create this mock-up in your mouth with removable composite resin. 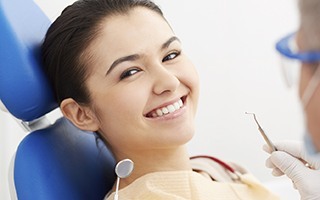 You will have an opportunity to see your new smile prior to starting the dental procedures. With Virtual Smile Design, getting a beautiful smile is now easier than ever. Thanks to this technology, you won’t have to worry about your end result because you will have already seen it. If you’d like to see a preview of your dream smile, all you need to do is contact us today for an appointment.